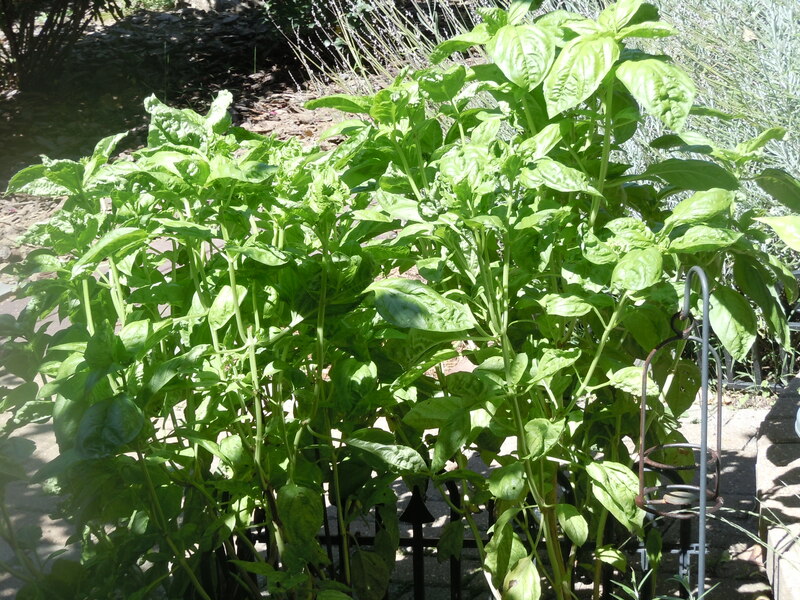 If your basil has done as well as mine has this year, you have way too much of it to use in sauces and salads, and you may not be interested in eating pesto 3 nights a week. I make up a huge batch of it, freeze it in ice-cube trays and have it available year round. Because it is made in the food processor, it’s much easier and neater than either using a blender or chopping by hand, and it still tastes fabulous. 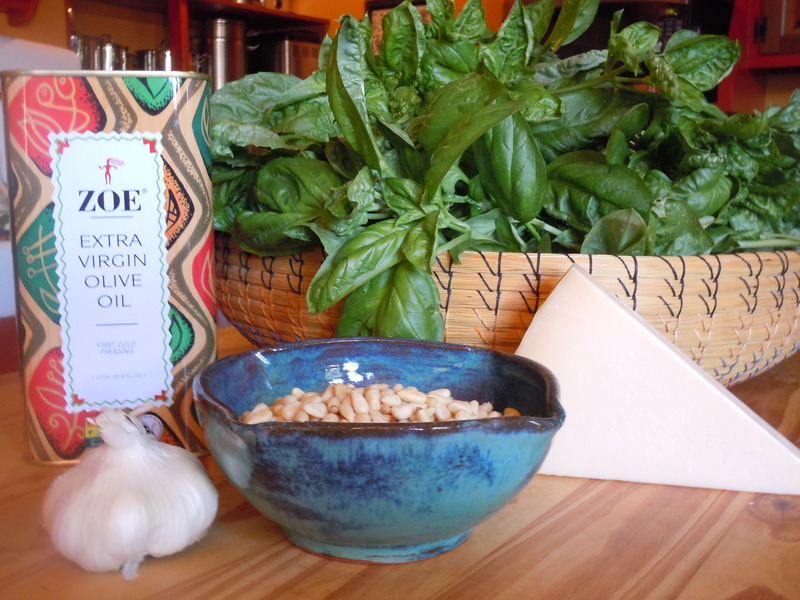 Granted, it’s not inexpensive to make, (in our area the pine nuts can run you $15), but it’s worth every penny and over the course of the fall, winter and spring, the price evens out nicely when you don’t have to buy basil out of season, or pay a fortune for a gourmet jar of the prepared variety. 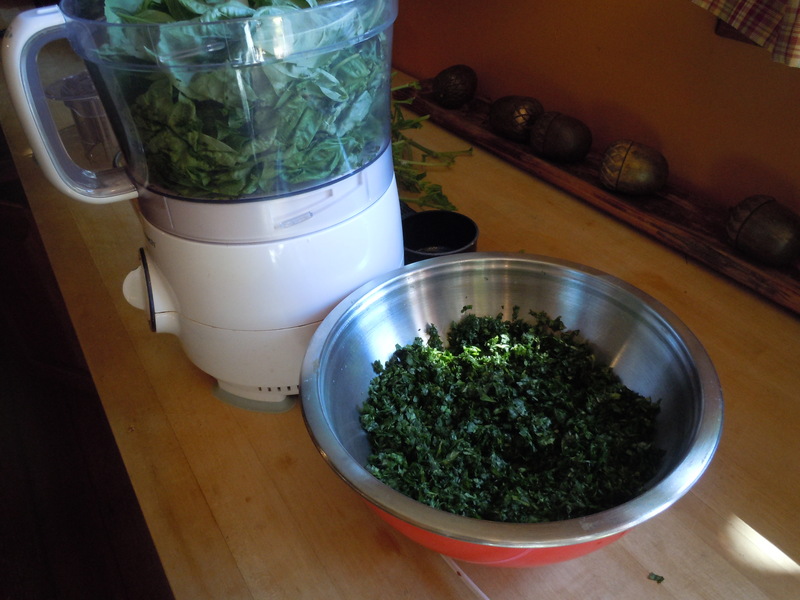 In two batches fill a large capacity food processor with basil leaves. Process until finely chopped. Remove each batch to a large bowl. Add the garlic and the pine nuts to the food processor and process until finely chopped. Transfer to the bowl with the basil. 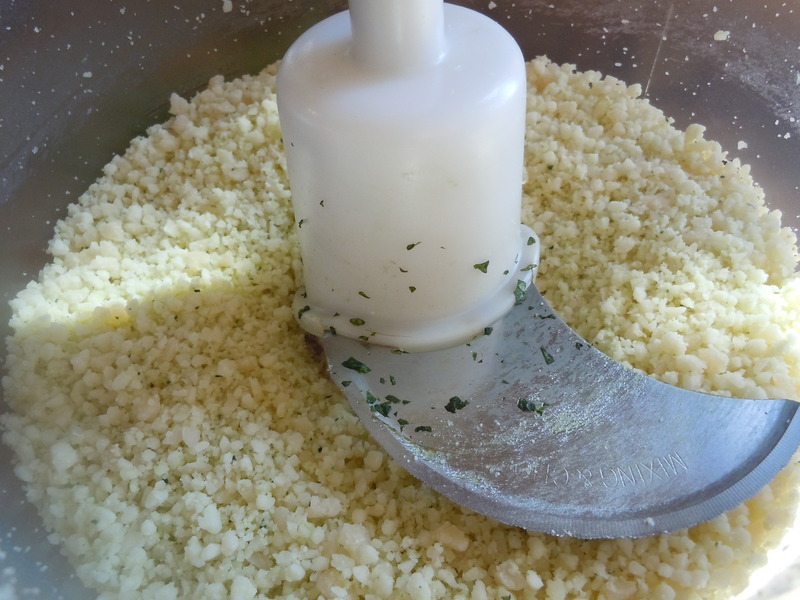 Cut the parmesan cheese into ½ inch cubes, place in the food processor and process until finely chopped. Do not remove. 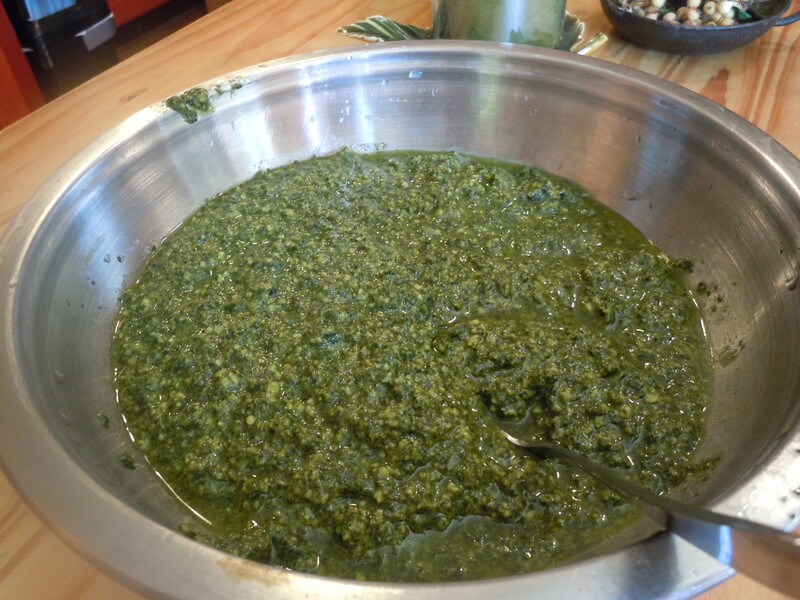 Return the basil, nuts and garlic to the food processor and add the olive oil. Process until smooth but not liquid. Taste for seasoning and if necessary, add the salt to taste. 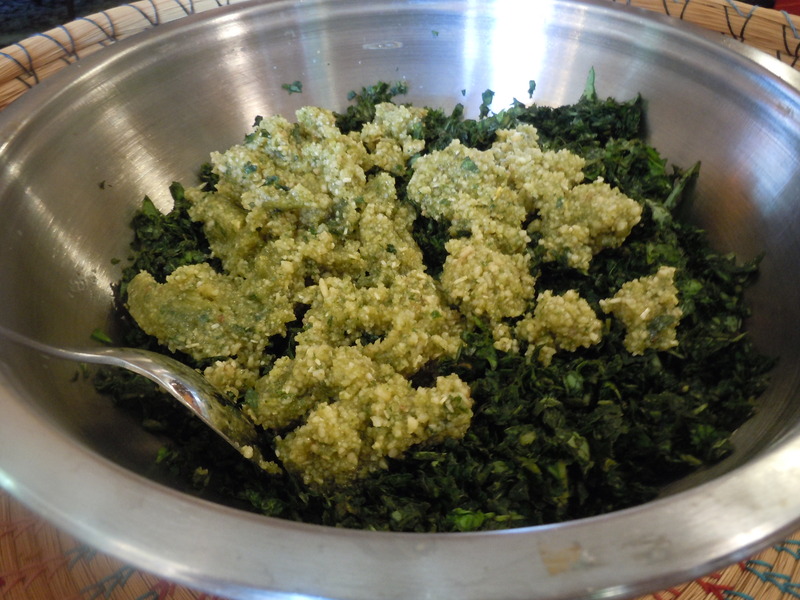 Turn the entire mixture out into a clean bowl, and scrape the bowl of the food processor to remove as much as possible. 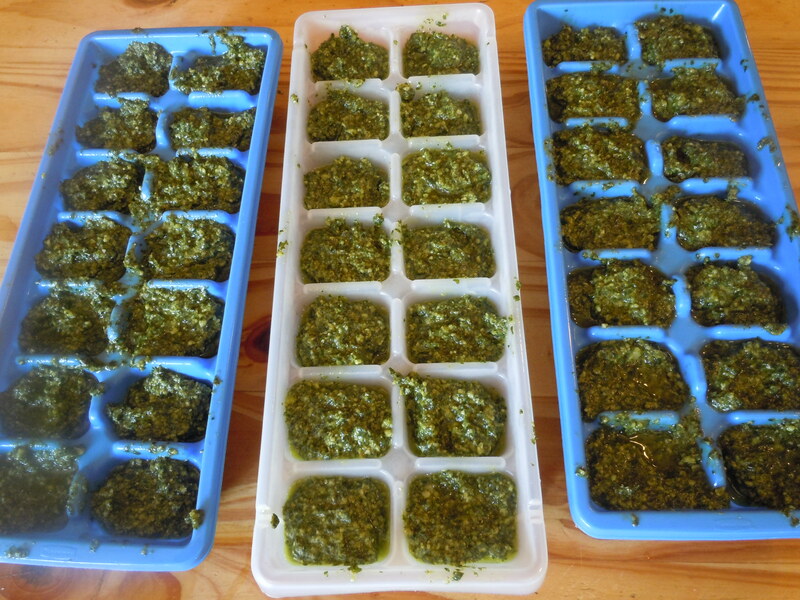 Using a spoon, fill the ice cube trays with the pesto. Freeze from several hours to overnight. Pop the cubes out of the ice cube trays and transfer to freezer bags, removing as much air as possible from the bag. Freeze for up to six months. To use, add directly to soups, stews or sauces as they cook. One cube is sufficient to season most dishes. To reconstitute, warm slowly in a saucepan and add additional oil or freshly grated cheese to taste. Do not boil. Excellent idea, I’ve been wondering what I should do with my basil now we’re at the end of summer!